Home » Root Matters » It’s never too early in the winter to plan for planting in the spring. Consider the Starry Night Plum Tree. If you have a spot or two open in your home orchard, do consider the Starry Night plum. Even though there is still snow on the ground and you can’t really dig, now is a good time to do some planning. Think past varieties you can usually find in the market, those you may already be familiar with, as why plant what you can usually purchase; plant something that you can’t replicate from any store in your area. 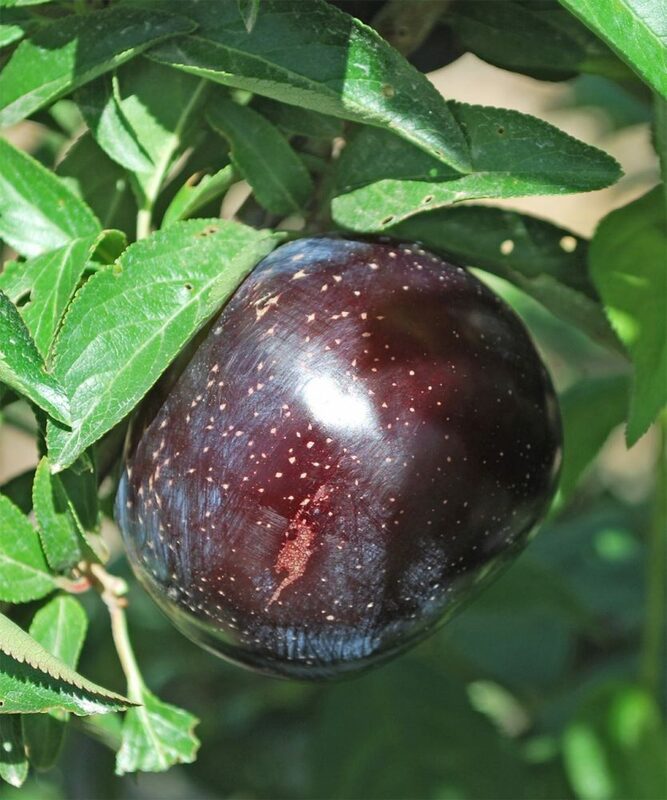 The Starry Night plum has a unique flesh, one that is super dark in color with some yellow speckles, each bite looking like the night sky. Take a bite and you will encounter flesh that is richly flavored, perfect for a snack or for any dessert. This plum is listed as hardy to USDA zone 7 (0 to 10°), but also one you can easily plant even if you live in a slightly colder location if you are just a bit creative. While young, you can plant in a large container and keep under porch or covered patio on super cold nights, the tree enjoying extra warmth coming off the house. When too large for a container, you can then plant in the ground next to a building or fence for additional warmth. You could even staple some clear plastic on the fence and let drape over the tree if need be, but by now with the tree several years old, you’ll probably be o.k. If you must plant way out away from any hard structure, you can take chicken wire and surround the trunk, then filling with leaves. This will generate some warmth around the trunk where it is most crucial, yet still allow air flow. 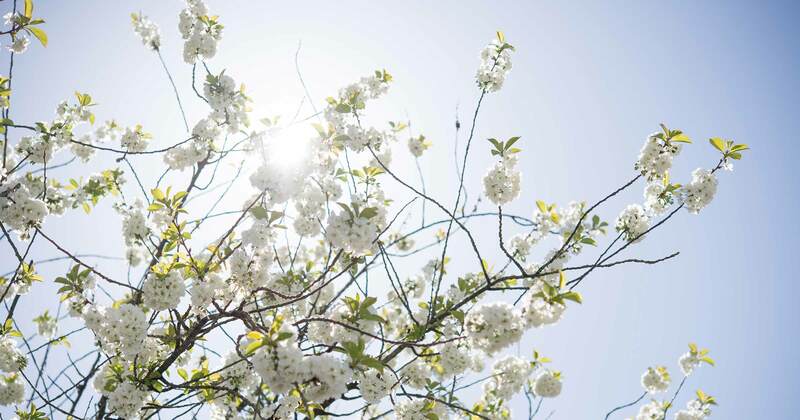 Just be aware of any late frosts if your tree is in bloom. Please CLICK HERE for more details. Tomorrow’s Harvest is shipping five gallon trees in soil weekly through both the winter and summer. You can reach us at 800-828-TREE if you’d like to chat!